I’m not overly keen on baths but when I do have a relax I like to have a really bubbly bath. I’m more impressed at how my bath bubbles up than a fizzing bath bomb. Baths are supposed to be bubbly! I was immediately drawn to the smell of The Comforter because it reminded me of my beloved Sweetie Pie Shower Jelly which has sadly become discontinued. It’s also a supersized Bubble Bar which means more bubble for my buck. Price: £4.95 each, for 2 uses. The ingredients include Cassis and Bergamot which together create a sweet blackcurrant like smell, and Cypress Oil which is said to be calming. It’s definitely one of those scents that are for the sweeter toothed bunch in society but really uplifts your mood to enjoy your bath. 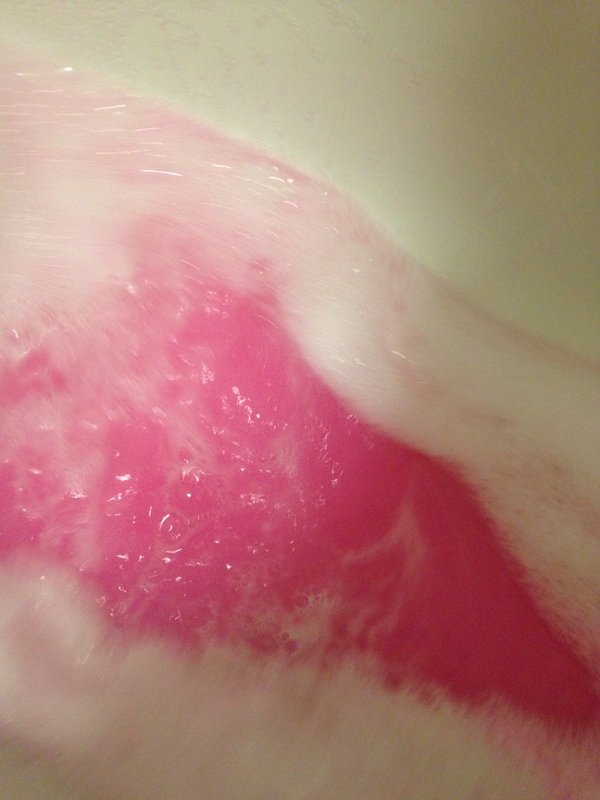 When crumbled the water changes to a bubblegum pink with white bubbles. 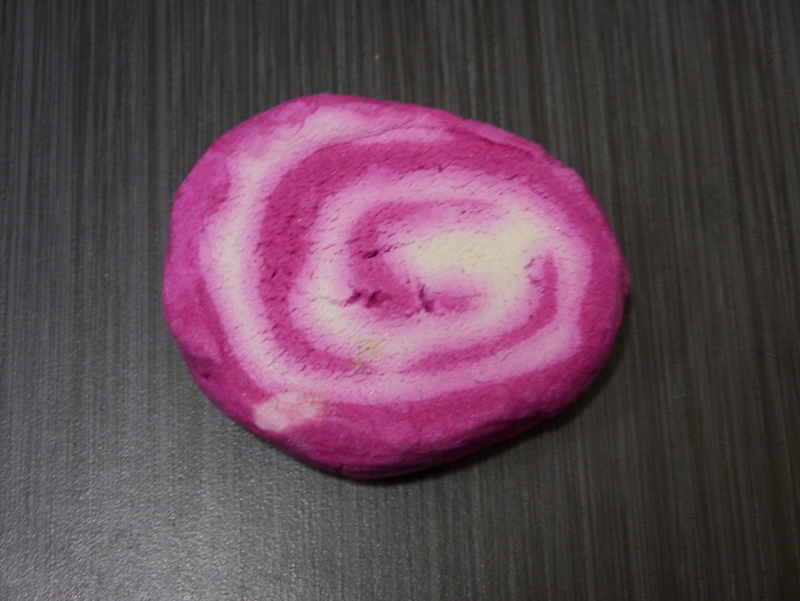 For me this bubble bar didn’t change anything to my skins texture such as make it softer or smoother, but it did make me smell glorious for a good few hours. For my bath, I used 1/4 of a bubble bar which made more than enough bubbles. I couldn’t imagine how insane one whole bar would be! 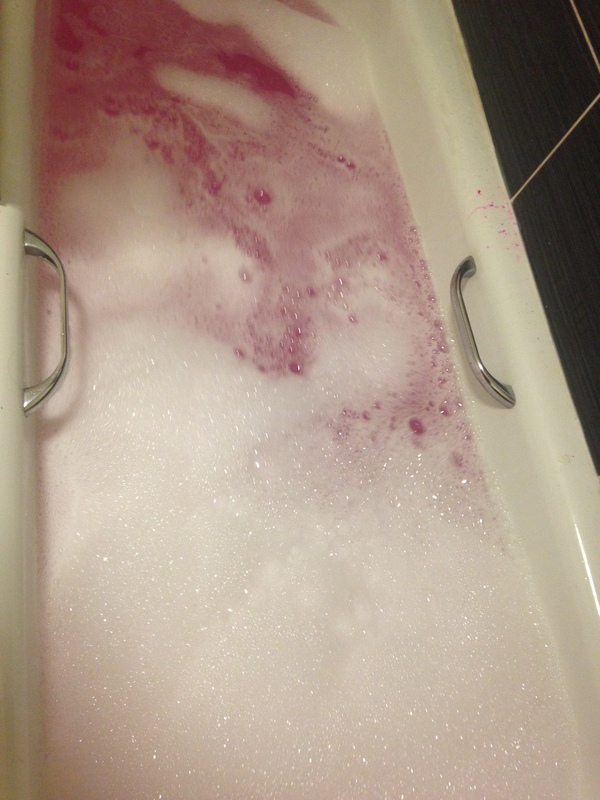 I was really shocked at how dense the pink colour in the water was too considering this is only a bubble bar, other bubble bars I have tried haven’t left such a vibrant colour before! All in all, good bath. I’d definitely purchase again because I love the smell and the smell lingered in my flat and on me for quite some time after! You can get more information on The Comforter here! 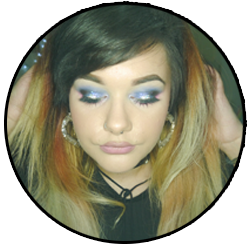 Posted on August 23, 2016 by sindyydollPosted in LushTagged bblog, bblogger, blog, blogger, bubble bar, bubble bar review, cardiff, lush, lush bubble bar, lush bubble bar review, lush cardiff, lush cardiff review, make up artist, makeup artist, mua, the comforter, the comforter review, welsh beauty blogger, welsh blogger.